We’re delighted to publish our first major IndyCar interview (and also make our competitors green with envy). We don’t count last summer’s attempted interview with Tomas Scheckter (the ex-driver, not his head gear) who for some reason chose not to participate in the Orson Welles piece. He sent a few non-responsive Tweets, one half assed email reply and some irrelevant pictures of lap dogs. 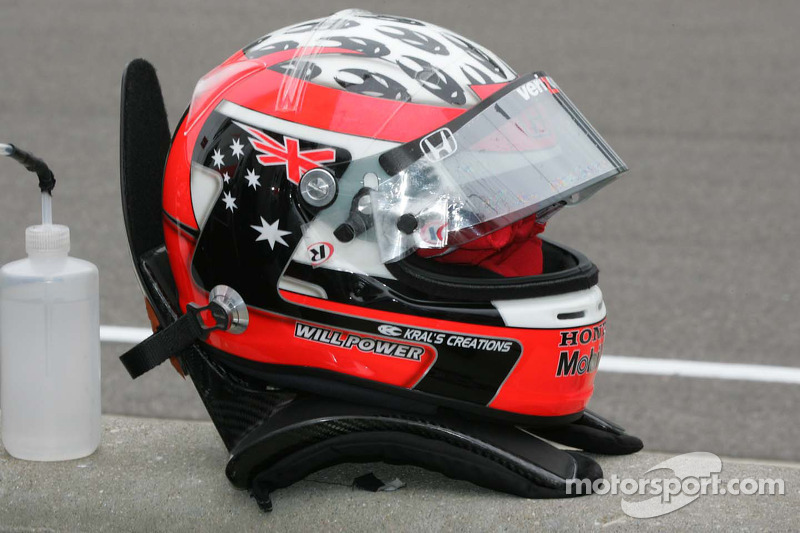 Unlike Scheckter, Power’s helmet was fully cooperative, stimulating and intellectually engaged. The main point we took away from our meeting is that Power’s helmet is no mere empty head covering, but rather a driving part of the championship effort. 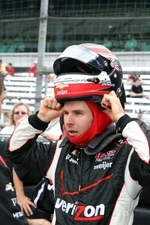 Will Power’s Bell Helmet was made in Champaign, Illinois and like all helmets used in the IndyCar series consists primarily of carbon fiber, Nomex and Rayon. It’s been with him the entire season, enduring all the highs and lows of Power’s prodigious five month campaign across the Americas. From his fourteenth place finishes in Houston and Iowa to his winning the title in the Fontana finale, Power’s helmet was there, perched atop Will’s balaclava covered skull through it all. Now facing retirement and a significant life change, Power’s helmet sat down with us last weekend for a revealing and insightful discussion of racing and life atop Power’s noggin.